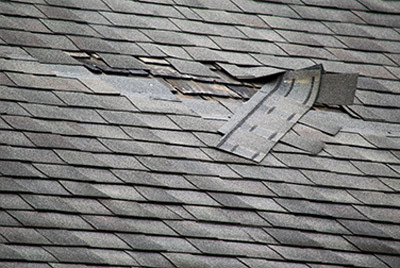 Tornadoes and high winds can blow shingles off roofs or blow debris around that can hit your roof and cause damage. Downed trees can fall onto your roof, causing serious damage, while hail storms can leave you with roofs that need to be replaced. Extreme weather isn’t the only cause of roof repairs. Another common cause for deterioration of roofs over time is seasonal changes in temperatures. Freezing and thawing associated with these changes can damage your roof and increase your risk of leaks. The number of years that a roof lasts depends on certain factors, such as the material it’s made from and how much wear and tear or extreme weather it’s subjected to. In general, asphalt roofs are made to last for around 20 – 30 years. Some types of roofs, such as metal and tile, can last even longer when they receive routine maintenance and repairs. In fact, some of these roofs can last for 50 years or more without needing to be replaced. The length of time your roof also depends on how much sunlight, temperature changes, and severe weather it is exposed to over the years. Too much exposure to severe weather or harsh sunlight or a lack of maintenance can shorten the lifespan of roofs considerably. Roof shingles gradually show signs of wear and tear as they age, but some show signs of deterioration much sooner. This mainly occurs due to exposure to certain types of weather conditions. High wind can blow shingles off of roofs exposing the roof deck, while hail can cause bruising and granule loss in shingles and affect their ability to protect your home. Extreme heat and sun exposure is another factor that can cause shingles to break down over time. If you notice that you have shingles that are showing wear and tear due to age or weather conditions, it’s important to have them inspected. Professional roofing inspections can determine the source of this deterioration and whether you need to repair or replace your shingles. Please contact us for a free roof inspection.